Jigsaw Bug is simply the best jigsaw puzzle app. From our puzzles to our pictures, we went the extra mile to give you an amazing experience. Play with four piece styles from traditional to modern cuts. Get a new jigsaw puzzle every time you play for a unique experience. Solve puzzles ranging from 4 to a challenging 300 pieces. Our puzzle images are taken by professional photographers from around the world. Keep your unsolved puzzles and finish them later. 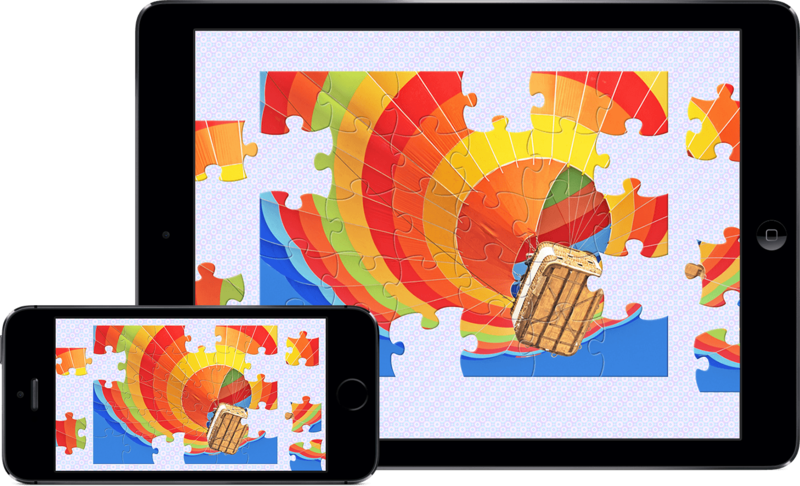 Play puzzles without being interrupted by annoying ads. Get ready for amazing HD jigsaw puzzles. Download today for iOS™ and Android™. We love hearing from our players! Fill out the form below to get in touch.